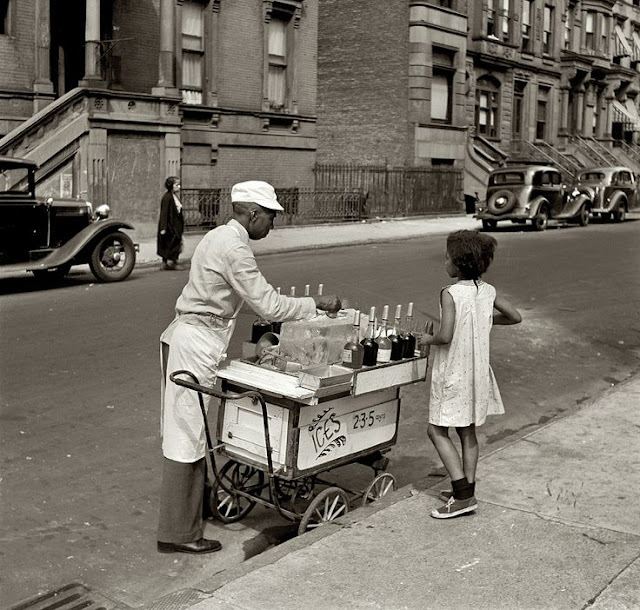 A very cool photo of a shaved ice vendor in New York City in 1938. I just love the cart, I wonder how much it cost? Probably 5 cents! How cool that he has a big block of ice right there shaving as you order! I love the cars parked on the other side of the street. It must have been very interesting in the summers in the 1930's to keep cool. I still don't think they had the heat that we deal with in 2018. I know myself shaved ice always makes me quite happy, especially with some grape flavor on top!